Beauty and ugliness are two sides of the same coin; by ugliness we usually mean the opposite of beauty and we often define the first in order to understand the nature of the second. But the various depictions of ugliness over the centuries are richer and more unpredictable than is commonly thought. The striking images and anthological quotations in On Ugliness lead us on an extraordinary journey through the passions, terrors and nightmares of almost three thousand years, where acts of rejection go hand in hand with touching instances of empathy, and an aversion to deformity is accompanied by seductive violations of all classical canons. With his characteristic wit and erudition, Umberto Eco draws on examples in art and literature from ancient times to the present day. 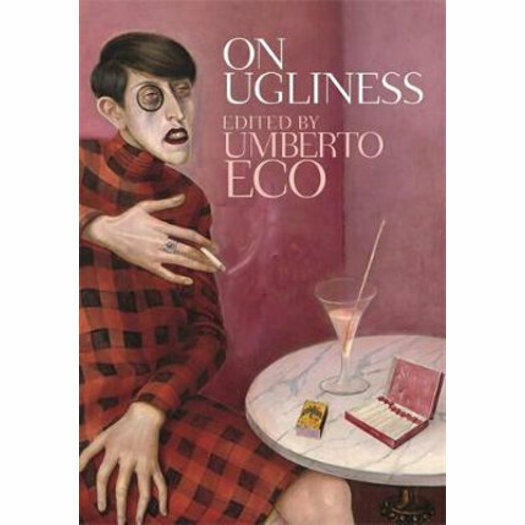 Abundantly illustrated with demons, madmen, vile enemies and disquieting presences, with freaks and the living dead, On Ugliness is conceived for a vast and diverse readership, and is an invaluable companion volume to On Beauty. Umberto Eco is recognized as one of our outstanding living writers whose bestselling novels include The Name of the Rose (1982), Foucault's Pendulum (1989), The Island of the Day Before (1995) and Baudolino (2002). His illustrated works On Beauty (2004) and The Infinity of Lists (2009) are companion volumes to On Ugliness . Alastair McEwen is the translator of some of Italy's finest living writers, among them Antonio Tabucchi, Sandro Veronesi, Fleur Jaeggy and Alessandro Baricco.